My studio space had been moved around a few times and landed back where it started as part of the living room. 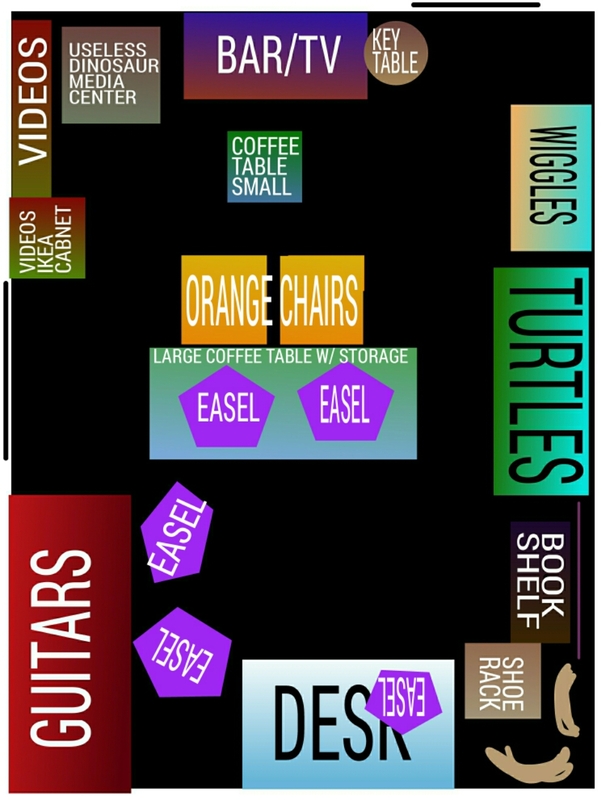 Below is a crude diagram of the current layout of the room. Our apartment is a work in progress. By that I mean we have lived together for almost six years and I only really started to unpack over this past year. It is coming along well though we still have a long way to go. We agree that my art space is a to priority to get sorted out. 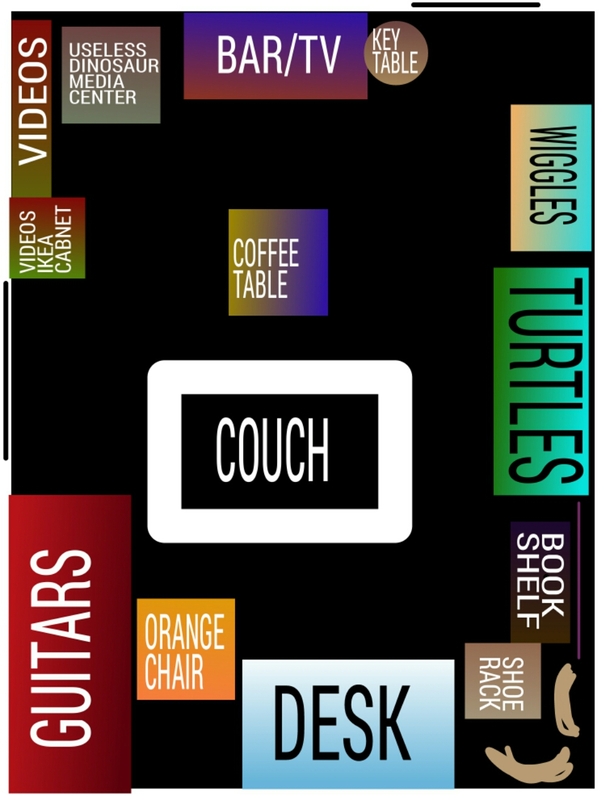 Below is another crude diagram of what the living room will look like once we are done. Over half the living room will be where the easels live. The shoe rack and book shelf by the desk are full of art supplies, of course. Not on the diagram but there will also be space for an amp so the musician in the house can play when ever the mood strikes them. The couch is moving out, and the sweet retro orange velvet chairs will be put into main service. The large coffee table currently talking up all the room in the room that will essentially be our closet is slated to live under table top easels and the storage within shall be art things and guitar parts. Thinking about having five easels accessible at once makes me giddy. Before I can get to all of that though I have to reign in the explosion of art stuff choking the space and scattered throughout the house.